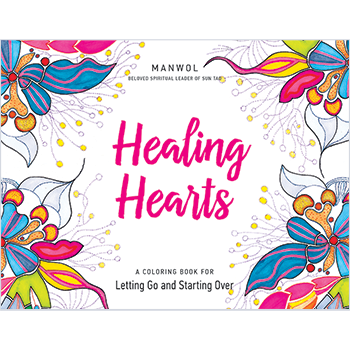 Heal the wounds in your heart with these 30 pictures created by Manwol, a spiritual guide of the Korean Tao tradition. Manwol is known for her warm, open heart and is loved by many. 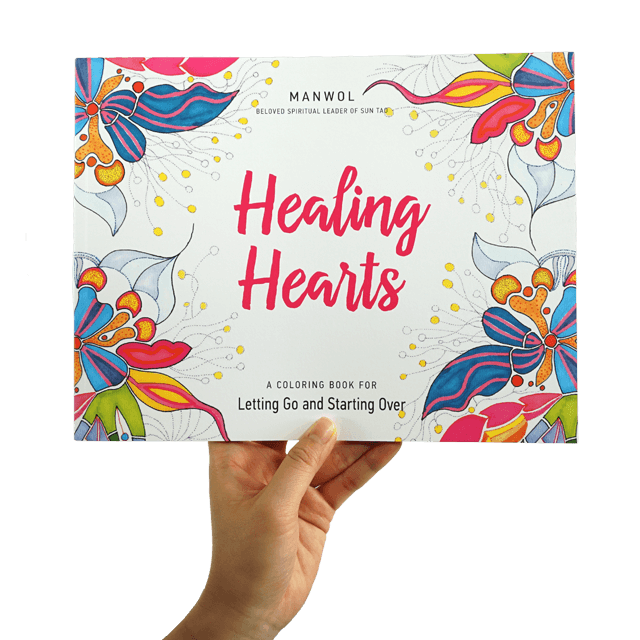 With all her heart, she infused each picture in this book with her wish that the hearts of those who saw it would be healed. Coloring them will lift away the heaviness in your heart and give you a new perspective for a brighter future. Each drawing also comes with a heart-healing message from Manwol. Keep it in mind as you color, and let its wisdom raise your heart to new heights. You’ll get hope and courage to color the pictures of your life with forgiveness, gratitude, and love. 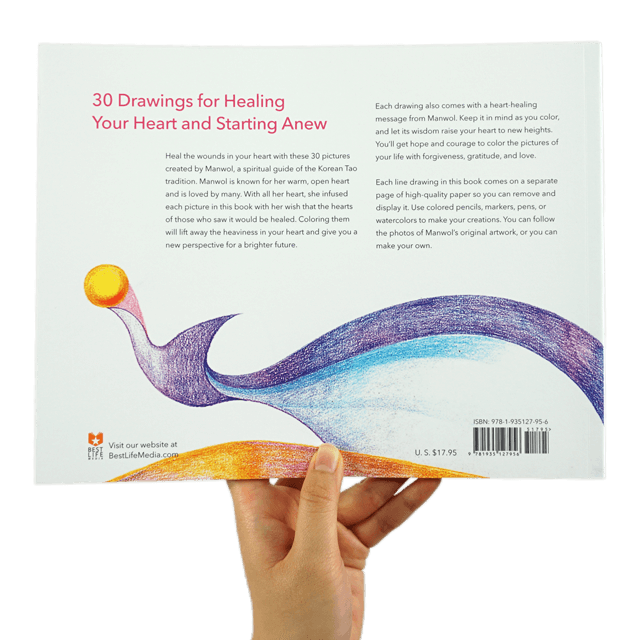 Each line drawing in this book comes on a separate page of high-quality paper so you can remove and display it. Use colored pencils, markers, pens, or watercolors to make your creations. You can follow the photos of Manwol’s original artwork, or you can make your own. Manwol (Jeongeun Son) is the spiritual leader and founder of the Sun Tao practice in Korea. Since attaining her own enlightenment in 1999, she has helped people find their purpose and live accordingly. In recognition of her spiritual teachings, Manwol was invited to attend the U.N. Millennium World Peace Conference of Religious and Spiritual Leaders in August 2000 and the Asian Religious Peace Conference (ACRP) in June 2002. She has authored over 10 books and travels around the world providing lectures, workshops, and spiritual rituals.